I was recently asked to name my favorite meal in Paris. Up until that moment, the thought of picking a favorite hadn’t even occurred to me. 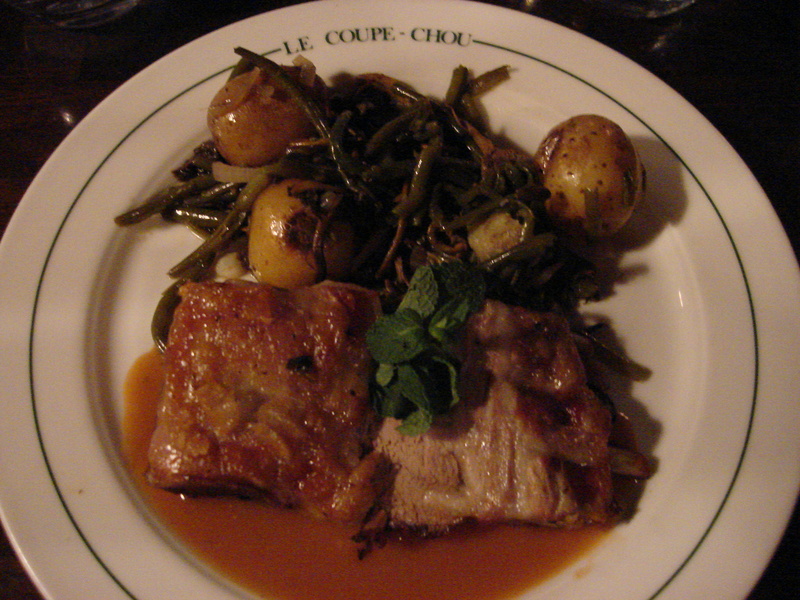 My first knee jerk reaction was to mention Le Coupe Chou. Relatively simple food, tasty and well prepared, and not trying hard to impress. I had the foie gras as an appetizer and my husband and I both had the roasted lamb as an entrée. My 9-year-old daughter, Molly had escargot and sea scallops. Yes, she’s got quite a palette. But in all honesty, that restaurant was really more about ambiance than food. 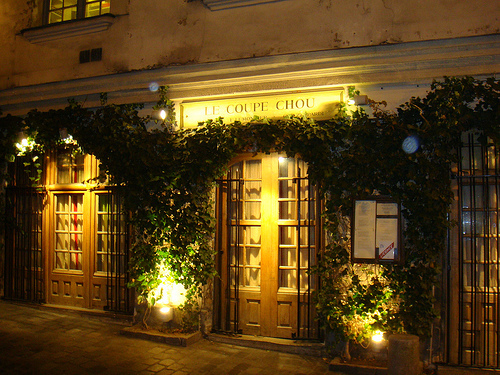 Set inside adjoining townhouses in the Latin Quarter, right around the corner from the Sorbonne, Le Coupe Chou is steeped in rich history. While restoring the cellars, the restaurant owners discovered the remains of the Gallo-Roman city which dated back to the time of the time of Marcus Aurelius, around 170 AD. 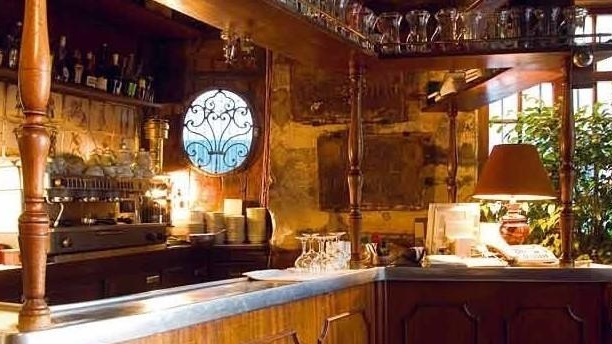 They also found 12th century pottery and road plaques from the middle ages, all of which are on display behind the bar. 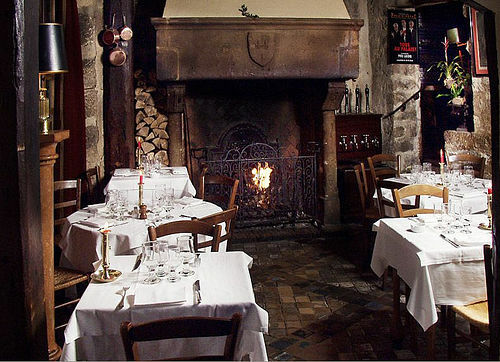 The dining rooms are a series of small rooms, each with wood beams, stone walls and lots of character. Our table was right next to the mammoth stone fireplace. After dinner, we were invited into the salon for after dinner drinks (and, I think, to free up our table for the next reservation). My husband sipped and then replenished a Single Malt Whiskey from the Alsace called Uberach. French Whiskey, you ask? Indeed! Back to the original question….my favorite meal. I had made reservations at Joel Robuchon’s Atelier, but after 4 days in Paris, Gastronomic Fatigue had set in. I just couldn’t face the 11 course tasting menu. No way, no how. 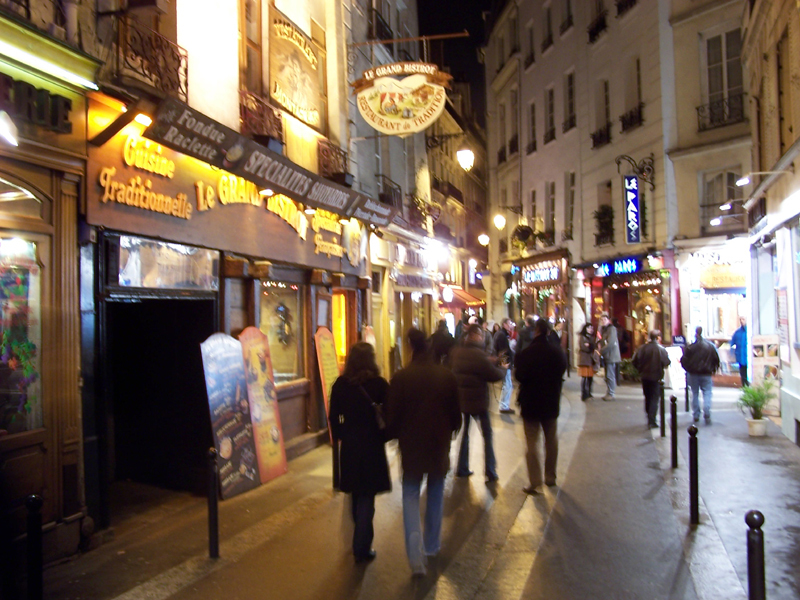 So we wandered the narrow, winding streets of Saint-Severin looking for “something light” and wandered into a nearby Bistro. What made this place memorable, other than the moose head on the wall and the straw on the floor, was the interactivity of their menu. 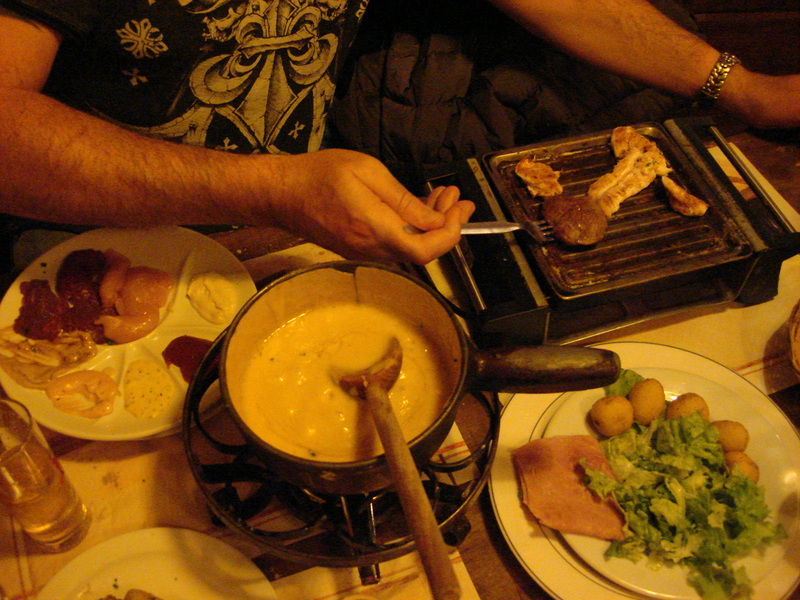 Cheese Fondue and Raclette, which is an electric tabletop grill where you cook a variety of things that fly, swim and walk. The emphasis of raclette dining is relaxed and sociable eating and drinking, the meal often running to several hours, which ours did. But was it my favorite meal in Paris? Nope. Too much gimmick, and the food, while fun, was just okay. The only bad news about visiting Paris around New Years Eve (apart from the weather) was that a number of fine restaurants were closed, such as Sola and Officina Schenatti, which I was really hoping to try. The good news is that Oyster season was in full swing. 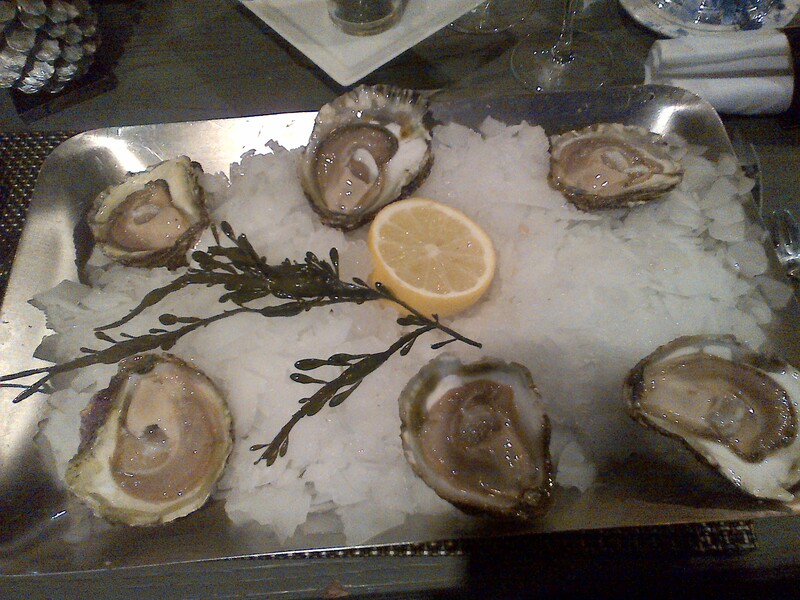 According to Paris by Mouth, roughly half of all oysters eaten in France are slurped between Christmas and New Years. 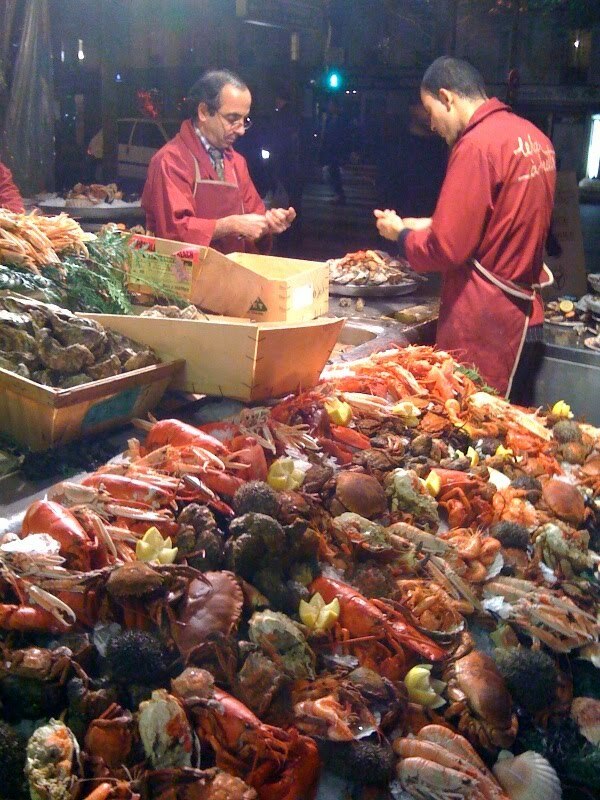 After one late night visit to the Eiffel Tower to see the lights (I highly recommend a night visit), we asked a taxi driver to recommend the best seafood restaurant. 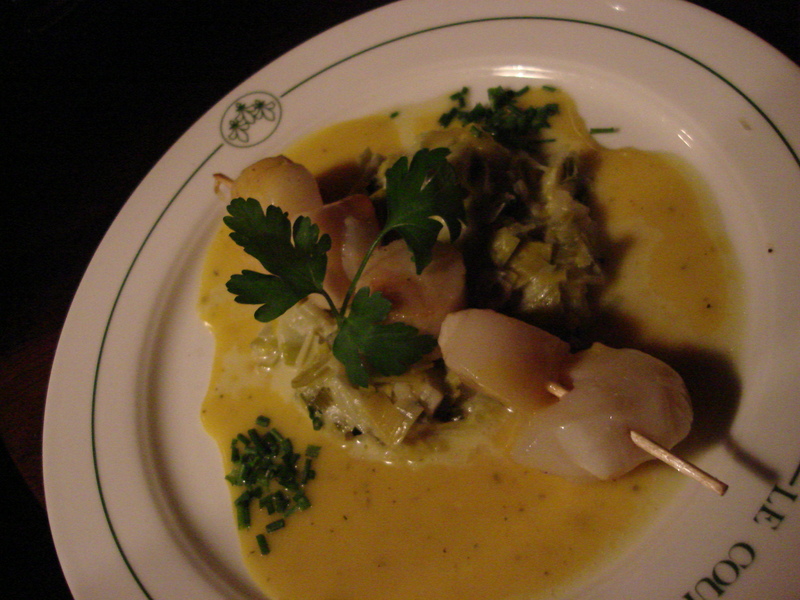 He took us to Le Bar a Huitres in Montparnasse, known for their seafood platters. I had (surprise, surprise) Grand Cru Oysters. 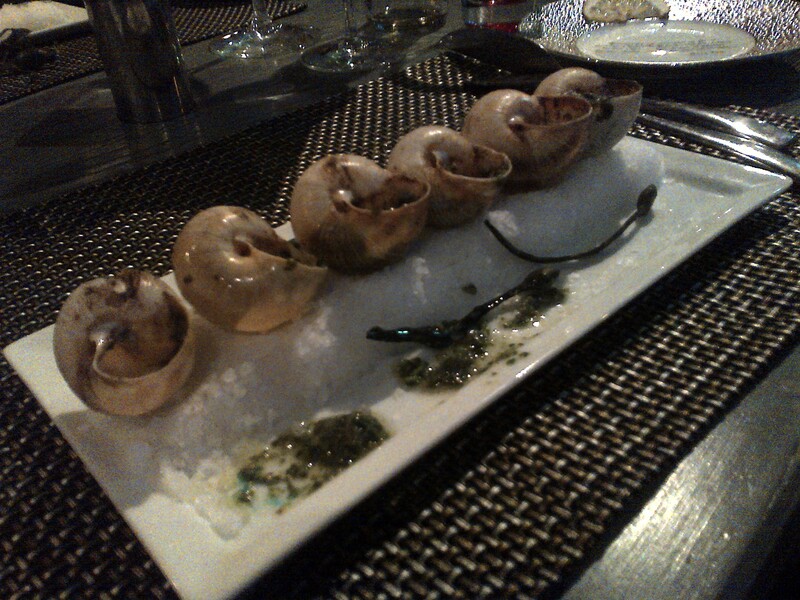 Molly had (surprise, surprise) more escargot. 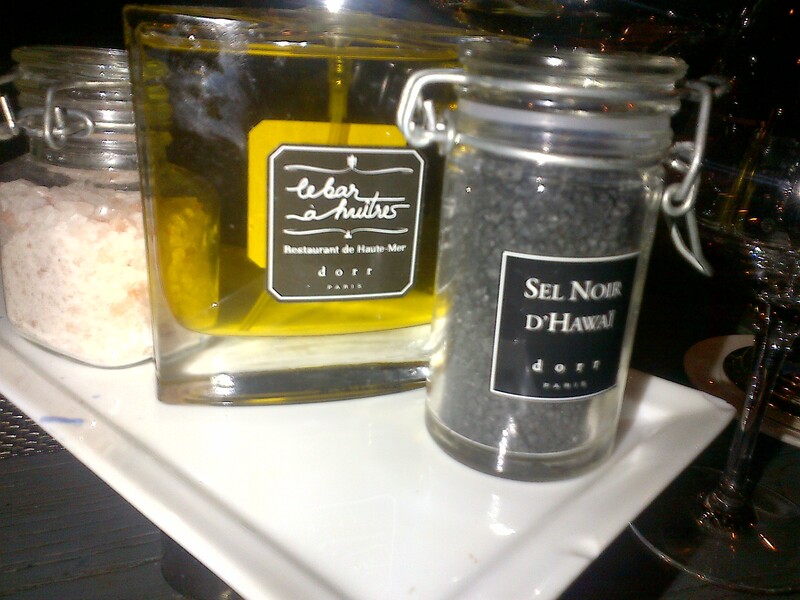 I loved the individual rectangular Lazy Susan on each table, stocked with their signature black Hawaiian salt, pink Himalayan salt, and Château d’Estoublon olive oil in a spray bottle. But still not my favorite meal. But still the question lingers….what was my absolute favorite meal? 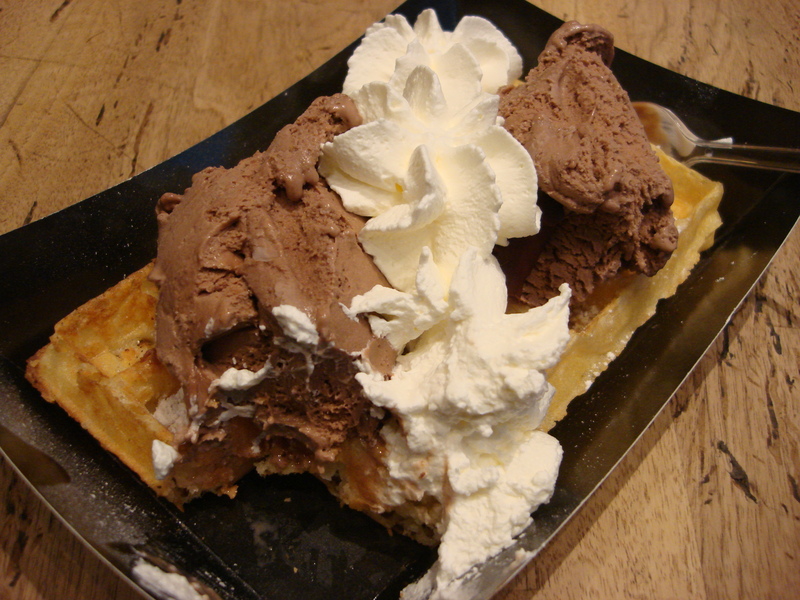 After much deliberation and a considerable amount of soul-searching, I’d have to say, in all honesty, the warm, freshly made waffles and creamy, flavorful gelato at Amorino was, bite for bite, my favorite. 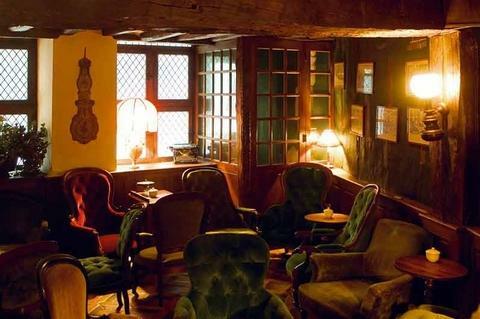 Next trip, I am hitting Jules Verne on the very first night, before the gastronomic fatigue sets in.